We are always drawn to a good movie that keeps alive the memory of the Holocaust so we will never forget this horrific world event. 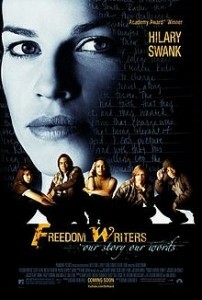 This film certainly did not disappoint us. 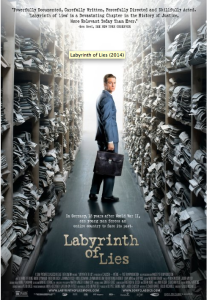 It is a docudrama based on the true story of a libel suit brought by David Irving (Timothy Spall) a British “so-called” historian who claimed that the Holocaust never occurred. He was viciously attacked for his “Holocaust denial” by Deborah Lipstadt (Rachel Weisz) a professor from Emory University. She and her publisher Penguin Books had to defend themselves in a libel suit in Great Britain because of how she excoriated Irving for his denial of the truth of the Nazi extermination of millions of Jews. 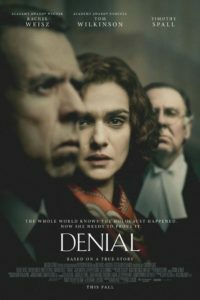 In England, the law demands that the defendants in libel suits prove their affirmation which means in this case that Ms. Lipstadt’s side not only had to prove that her assertions were totally accurate but also that the Holocaust denial by Irving were purposeful lies due to his anti-Semitism. Her defense team consisted of her behind-the-scenes “Advocate” Anthony Jewels (Andrew Scott) who had actually been Princess Diana’s divorce attorney and his associates along with her “Barrister” Richard Rampton (Tom Wilkinson) who spoke for her in court. Agonizing decisions had to be made whether to allow Ms. Lipstadt to testify as well as various Holocaust survivors and whether to have a judge-only proceeding instead of a jury trial( no, no yes). This was a high-stakes courtroom drama, British style. Everyone was up to the task. The words flowed from the real Ms. Lipstadt’s book converted into a screenplay by David Hare directed by Film and TV veteran Mick Jackson. 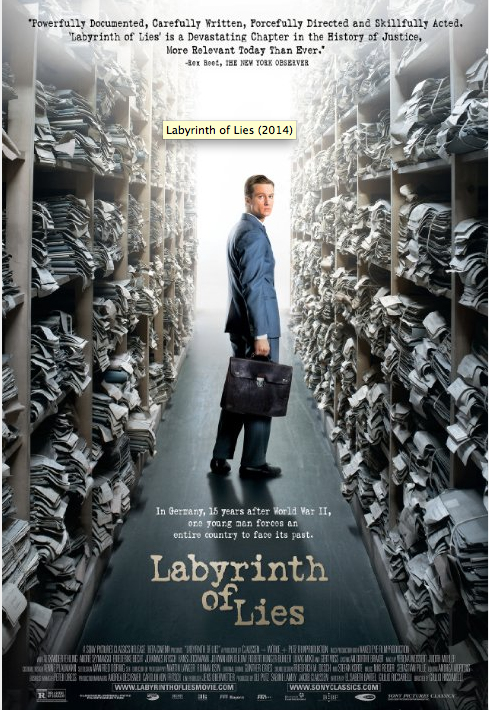 The title of this movie is ironic since Fritz Bauer (Burghart Klaussner) was an Attorney General in the 1950s in postwar Germany whose job was to prosecute war criminals on behalf of the people of Germany. He gets wind of the fact that the most notorious war criminal, Adolf Eichmann, was hiding in Buenos Aires, Argentina. 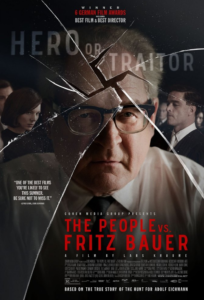 This film is the story of Bauer’s determination to bring Eichmann to justice despite the resistance of many of his countrymen who were government officials and many may have been Nazis or Nazi sympathizers. If you have traveled to Germany in modern times you know that so many of contemporary Germans have owned up to their country’s role in attempting to destroy the Jewish people in the 1940s. During our trip to Berlin, we saw many memorials including a very moving Holocaust museum. 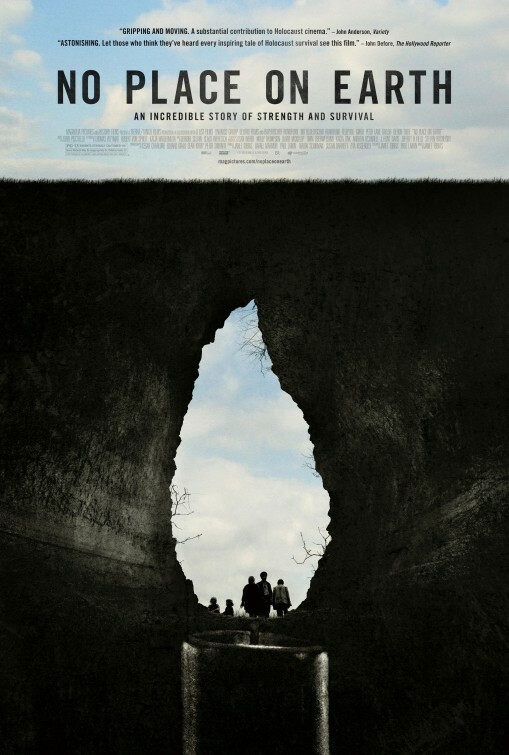 Director and screenwriter, Lars Kraume and producer, Thomas Kufus are among the many contemporary German filmmakers who are continuing to explore this subject with their work. 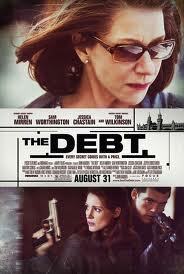 This is a movie about the Holocaust and it stars Helen Mirren and therefore it will get many people’s attention, which it l deserves. 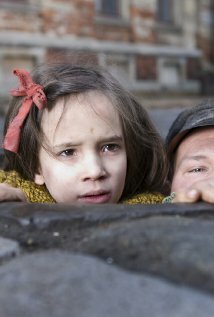 In our opinion, it doesn’t quite rank with Schindler’s List, Sophie’s Choice, or The Pianist but it does deal with a fascinating historical story. It begins begins in 1907 with a painting of an Austrian woman by the famed artist Gustav Klimt. It ends about 100 years later in 2006 when the niece of the subject of that painting was able to win the legal battle to wrest this painting from an Austrian museum and brings it to the United States where she now lives. We follow this journey through the life of Maria Altmann (Helen Mirren) who grew up in a wealthy Austrian family and lived very comfortably surrounded by fine things including great works of art. 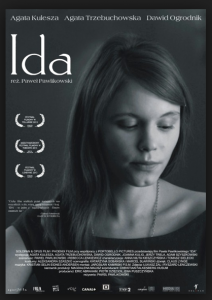 She and her family were Jewish and the film dramatically shows scenes which depict the anti-semitism and the demoralizing treatment of the Austrian Jews by the Nazis in the 1940s. We see this one family, previously quite happy, torn apart overnight as a few members escape and the remainder perish in the holocaust. 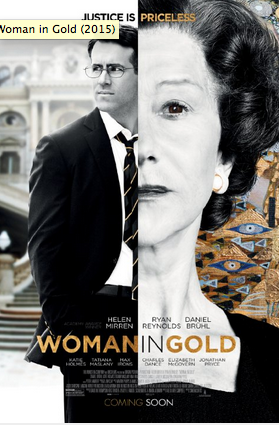 Fast forward to the United States in the 1990s and an older Maria Altmann, living in Los Angeles, finds family letters which document some of the valuable works of art including the Woman in Gold now in an Austrian museum which she recalls being in her home as a child.. She connects with a young lawyer by the name of Randy Schoenberg (Ryan Reynolds), grandson of the famous Austrian composer, who joins her on this great odyssey. It involves them returning to modern day Austria and battling the government there with the help of an idealistic Austrian reporter played by Daniel Bruhl. This adventure eventually takes them all the way to the United States Supreme Court and successfully ends in a contested arbitration in Austria.